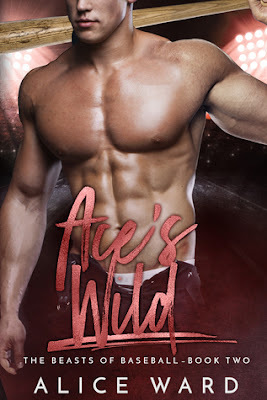 Ace Newman was more than just a bad boy, he was a Beast, and Beast's were not meant to be tamed. 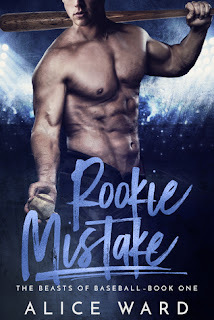 Holly wasn't planning on falling for the veteran bad boy of baseball, but dysfunction seemed to cling to her like humidity on a hot summer's day. So, when Ace Newman fell into her life, the only thing she knew to do was try to fix him. Alcohol, drug addiction, torn pasts and tattered futures are the only things that Ace and Holly have in common, so how do they avoid a strike out and score a homerun? Alice Ward is the bestselling author of dozens of hot and steamy contemporary romances. She’s an amazingly prolific writer, releasing a new book almost every single month. Her books are widely read, especially by women and any other lovers of the romance genre. My Stepbrother, My Lover, was her first smash hit. Alice lives in Miami with her hunky husband. The beach is her all time favorite place to relax with her laptop and write.